In order to enable the Slack integration you need to be either a Leadfeeder Premium or Trial user. 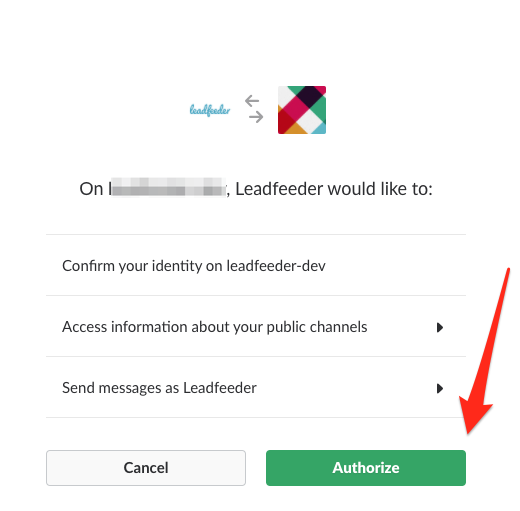 Before starting to initiate the integration, please make sure that you have Admin privileges for the Slack workspace you want to connect with Leadfeeder. How do I connect Slack with Leadfeeder? STEP 1: Log in to Leadfeeder. If you don't have Leadfeeder account, sign up here. STEP 3: Go to tab Website and select Overview on the left side. 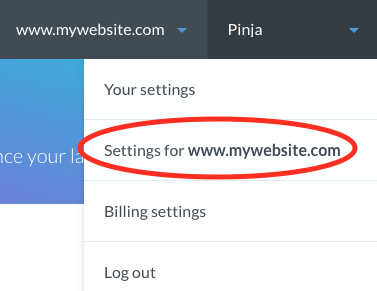 STEP 5: On the next page, click Select next to Slack. STEP 6: On the next view, click on Add to Slack. STEP 7: In the next step you are asked to Authorize the app. Once you've authorized the app, the integration initiation will start loading. When that is done, you need to select which public channel you would to use as a default Slack channel to send single leads. NOTE: This can be changed later and also private Slack channels can be used. STEP 8: Click on Save and continue to Leadfeeder. STEP 9: Check this article to learn what you and your team mates can do with the integration.